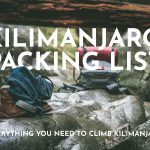 Kilimanjaro Packing List - What do you need to climb Kilimanjaro? Can we just start by saying how incredibly excited we are for you and this new adventure you are about to embark on! 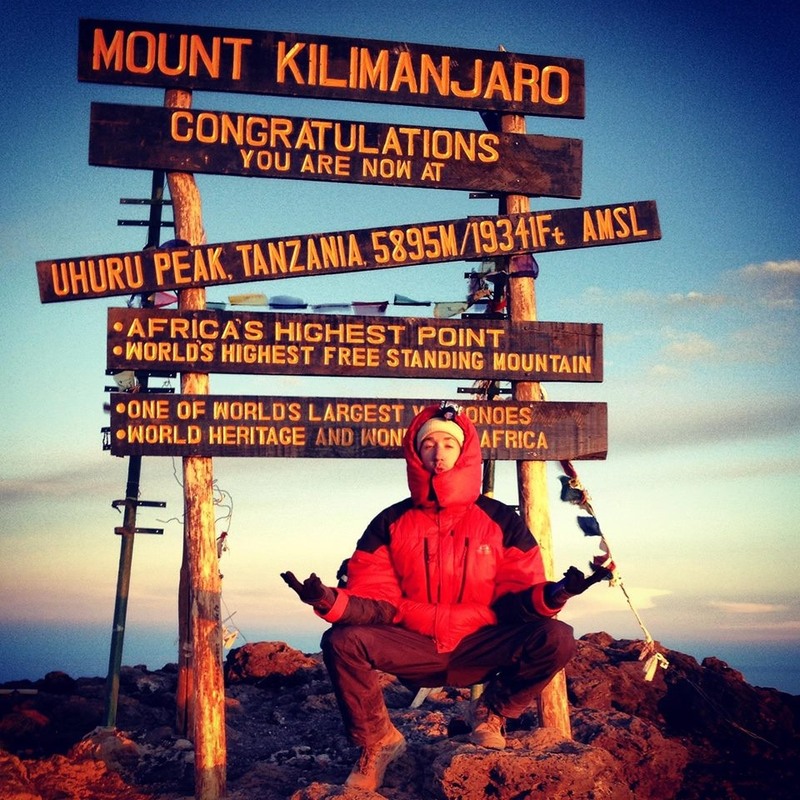 Now that you have made the decision to climb the highest peak in Africa, it’s time to prepare. 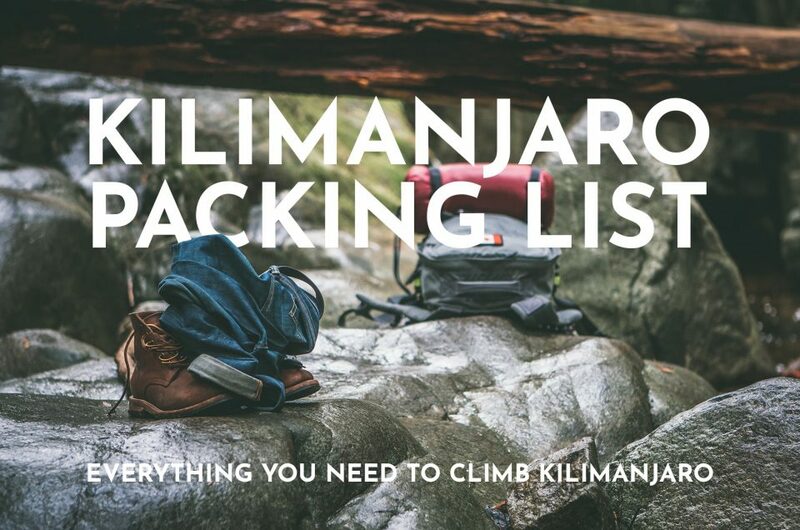 We know that packing for Kilimanjaro can be quite daunting, so we have made it as easy as possible for you. What to pack for Kilimanjaro is a very regular question that we receive from our community of travellers so we have put together an extensive packing guide for you to follow! For those who are more visual and would prefer to watch a video, have a look at our packing list video below. 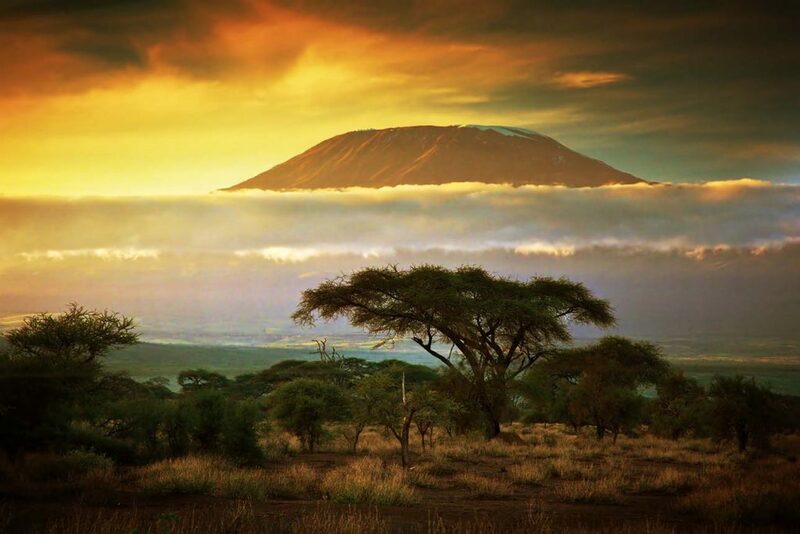 It is said that climbing Kilimanjaro is like hiking from the equator to the North Pole in a matter of days. From hot and humid rainforest and freezing cold glaciers to everything in between, you will need to make sure that you are packed and prepared for it all! 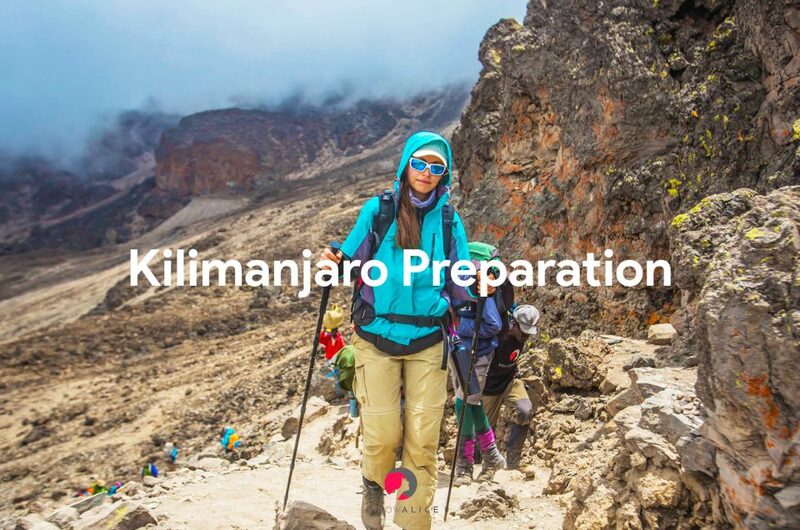 This packing list will help with your Kilimanjaro preparation. ​The items listed below are items that Follow Alice provides to our happy hikers at no extra cost. To adhere to our Kilimanjaro safety guidelines, we recommend to use our equipment for these items. You are however free to bring your own if you prefer. 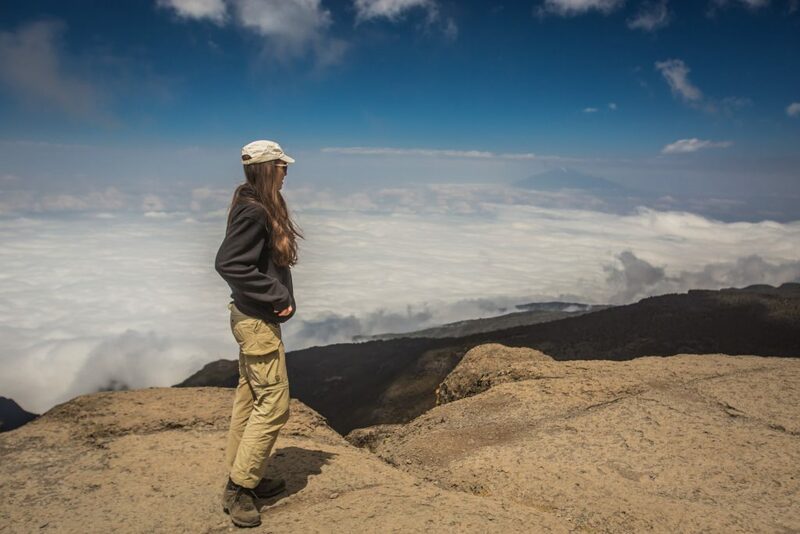 If you would prefer to bring your own, add these items to your Kilimanjaro packing list. Tents (double occupancy) and a private toilet tent. We supply high quality, four season mountain tents. Trekking poles. We supply and recommend high quality trekking poles. Down Jackets that can withstand temperatures up to -20 degrees Celsius can be rented from Follow Alice at $40 per jacket. We highly recommend these! Rent a good quality down jacket from Follow Alice! This is the bag that you will carry on your back while on the hike. All the items that you will need during the day will go in this bag. It is important that when you are packing for Kilimanjaro that you make an educated decision when choosing your daypack. Really good quality daypacks have comfortable and sturdy straps and have harness clips that allow you to adjust weight distribution. You should also look for a pack that has a netted back panel that allows for the heat to escape. This is especially good for those warmer days at the start of your journey. The duffel bag will contain everything else, including what you will need once you are back at the camp (sleeping bag, sleeping mat etc). Your duffel bag will be carried by the porters and should not weigh more than 18kg including your sleeping bag and mat. Make sure that at the start of every day you have taken what you need out of your duffel bag and have packed your daypack according to the climate zone that you will be travelling through. An essential item to add to your Kilimanjaro packing list. We cannot stress enough how important it is to have enough water to drink while on your climb. Not only because you will be very active, but water also helps ease the symptoms of altitude sickness. Hikers will need 2-3 litres of water a day and although your guides and porters will arrange the water, you will need sufficient space to carry it all. Most hiking bags have camel bags built into them, which is really great. This means that instead of needing to carry and reach for a water bottle when necessary, you can just pull the hose from your back pack and drink from there. Make sure that your camel bag is insluted so that it doesn’t freeze – especially on summit day. The only real problem comes in when your mouth piece freezes up, which can happen on summit day. In this case, it is good to have a couple bottles in your daypack or jacket. Make sure that your bottles are good quality and close properly to avoid leaking and freezing. If you can, it is best to keep your bottle as close to your body as possible to avoid it freezing. A couple tips would also be to keep your water bottle in a thermal soock to keep it from freezing. Also, water freezes from top to bottom, so put the bottle in your bag or jacket lid down, so then if it does start to freeze you can turn your bottle upside down and still have drinkable water. 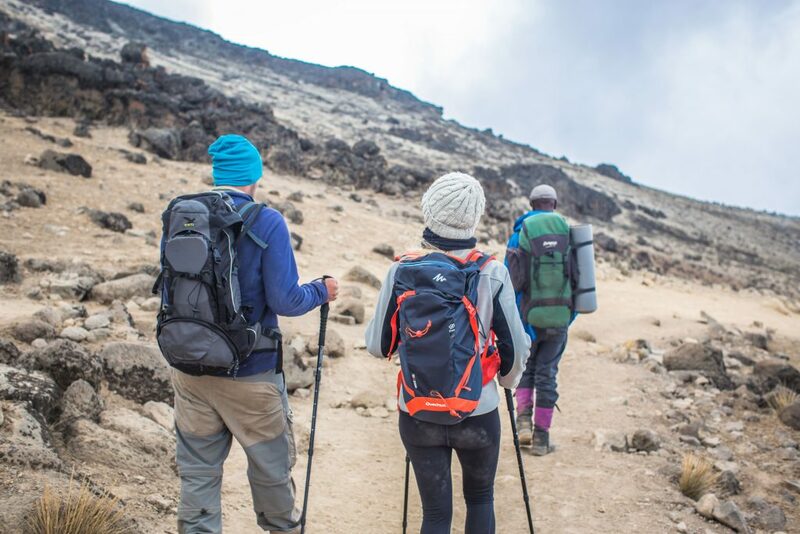 Comfortable, worn in hiking boots are the most important items on your Kilimanjaro packing list and should not be an afterthought in your Kilimanjaro preparation.  There are so many options out there to choose from when shopping for the perfect pair of boots so it’s good to know that there are 2 main types to compare. Leather boots and Gore-Tex boots. The main difference is that leather boots are more breathable than Gore-Tex boots, which is essentially important in the prevention of blisters. The downside is that they are high maintenance and need to be waxed in order to become water resistant. This of course means that the breathability is compromised. Ultimately, this choice is yours to make, but be very careful to wear them in properly before your climb. 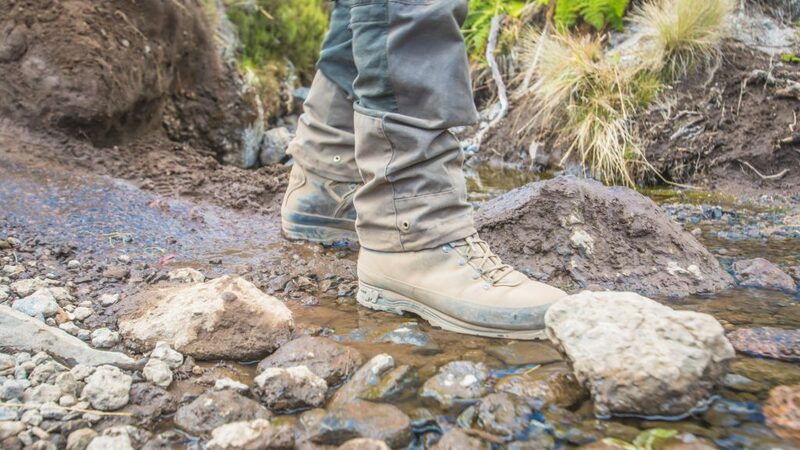 It is recommended that you and your trusty boots have endured at least 100km before your Kilimanjaro climb. We also like to stress the importance of either wearing your boots or having them in your hand luggage on your travels to Tanzania. 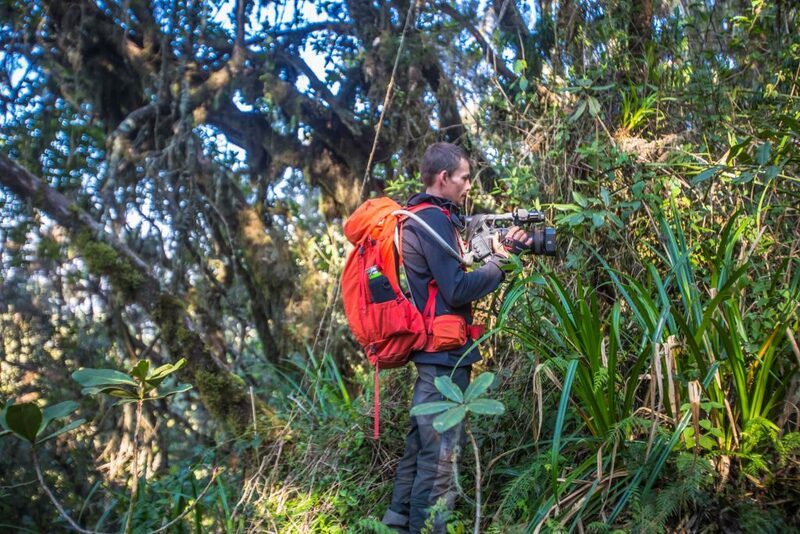 There have been instances previously where luggage had been lost at the airport days before the climb. We always try our best to make a plan with any needed items, but new or borrowed hiking shoes will compromise your climb tremendously. Consider these your camp shoes. After a long day of hiking, the thought of sitting back and kicking your boots off is pure bliss. This is great except for the fact that the temperature can plummet to well below 0. When you are packing for Kilimanjaro, it is good to throw in a pair of comfortable sneakers to wear around the campsite. These boots were made for hiking, and that’s just what they’ll do! 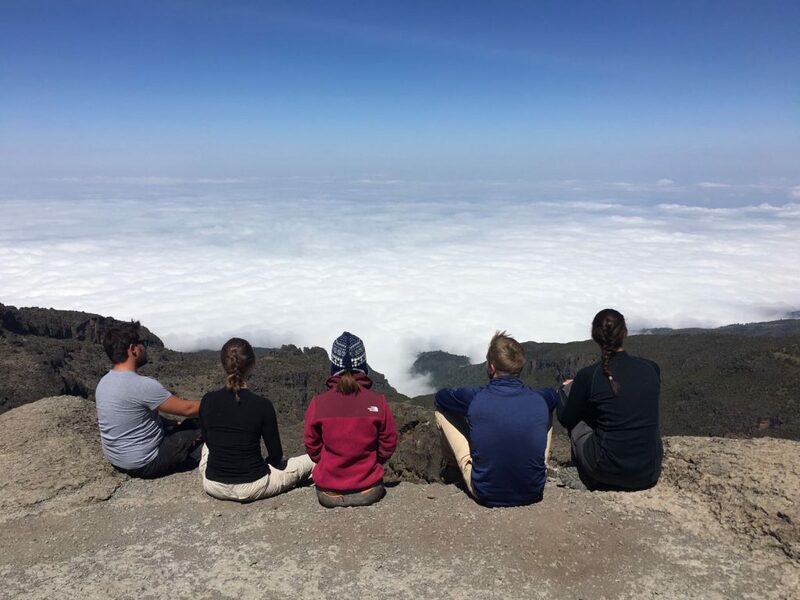 While you are packing for Kilimanjaro, it is good to know that you will endure 5 distinct climate zones on your Kilimanjaro climb, so the easier it is for you to adapt the better. For this reason, it is better to have quite a few layers to work with. Your base layers are the layers that are closest to your body and help regulate your body temperature. For your base layers, it is wise to go for garments that are made of non synthetic material such as Merino wool. Merino wool is breathable and dries easily. We suggest that climbers avoid cotton all together as this material, when wet, becomes very heavy and takes longer to dry. When you reach the summit of Kilimanjaro you need to keep in mind that the temperatures can dip to well below 0 and it is really important that you have the right amount of layers for this. Your summit base layer will be an additional garment (preferably merino wool) that you wear for summit day only. Your summit day climb is the most amount of time you will spend climbing in one go. Having a fresh and comfortable layer for this will go a long way. Your middle layers will be worn on top of your base layers. This garment should be comfortable and easy to move in. We recommend a thin fleece or parka for this layer. So it goes without saying that a fresh pair of underwear is always a pretty good way to start the day! That’s why we recommend that you bring 3-4 pairs along with you. It is best to wear sports underwear for this. Both comfortable and breathable. For summit day however, you’ll need to equip yourself with a pair of thermal underwear. Just like underwear, we suggest that you bring a few pairs of socks along with you. Regular hiking socks will do for your day hikes. It is also suggested that you wear sock liners. These are great in avoiding blisters because the friction will gather between the liner and the sock rather than your skin and the sock or boot. It is quite common for climbers to get blisters on their feet, especially on summit day when you are on your feet for close to 12 hours. It is best to wear a fresh pair of socks in this case to avoid any further infection. For summit day, just like your underwear, you will need a pair of thermal socks. A good quality down jacket is a very important item on your Kilimanjaro packing list. The first couple days are relatively warm and humid so your down jacket will not be needed and can be kept in your duffel bag. It can, however, be kept in your day bag for the last 2-3 days. From this point, temperatures start to decrease and you will be thankfull for the extra warm layer. It is also really handy to have a down jacket for when you are stopping off for a break, or relaxing at the campsite. You can either buy one of your own, or you can rent one as Follow Alice offers these for your climb. A good quality down jacket goes a long way! Waterproof is essential for the first few days of your hike. Depending on what time of your you climb Kilimanjaro, the rainfall can vary from moderate to high. 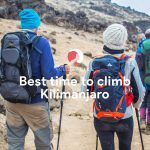 This why it’s important to make an educated decision when choosing the best time to climb Kilimanjaro. That being said, regardless of what time you decide to go, it is good to have waterproof gear. Although your regular rain gear is waterproof, they generally aren’t very breathable. That’s why it is important that when you are on the lookout for a rain jacket and trousers that you find one that is relatively lightweight and has an inner membrane that makes it breathable. We reccomend a jacket that has a 2000 hydrostatic head (this tells you how waterproof the jacket is). Much like your waterproof jacket, a windproof jacket goes a long way. There is nothing worse than wearing tons of layers to keep warm and the wind cutting right through. To keep the load light, we suggest looking for a waterproof jacket that also also has the functions of a wind breaker. We love a 2 in 1! These are a really great item of clothing to have on you. Durable, breathable and comfortable. We love hiking trousers that have the option of zipping the bottom half off. So you have the option of shorts for the first half of the climb and long pants for the second half. Again with the 2 in 1 – winning! Headgear is important and encompasses a list of items that you will need on your journey. Firstly, a sun hat for the first half of your journey is most important. The heat of the sun can be very intense in Tanzania, and will little to no cover from the heat, a sun hat can help a great deal. As you climb higher, you will need your warm hat (beenie). Your beenie can also be worn when you sleep to avoid any heat escaping your head and in turn keeping your body warm. We like to suggest a balaclava for summit day to keep your head, ears and neck warm. 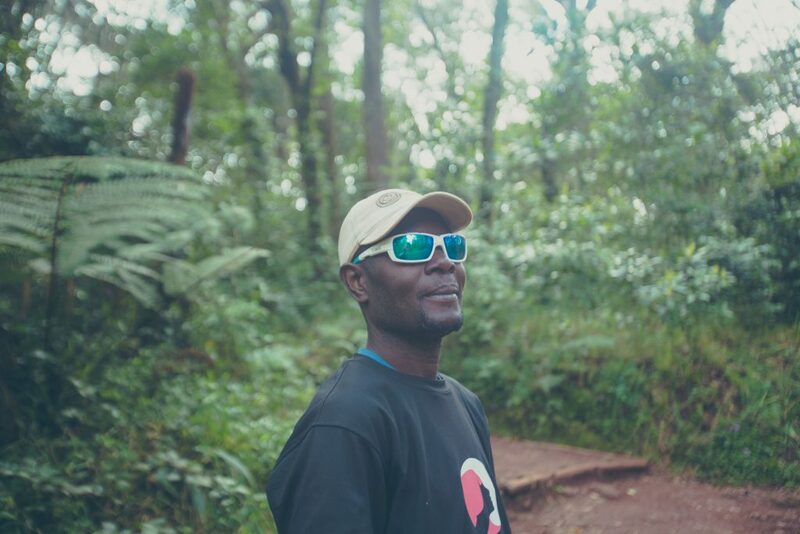 A head torch will be your best friend while on your Kilimanjaro climb, especially on Summit day when you leave your campsite at midnight and trek in the dark. You will also use your head torch at the campsites so add a few extra batteries to your Kilimanjaro packing list – you will use them. Sunglasses or ski glasses are essential, and not just for looking ultra cool in pictures! 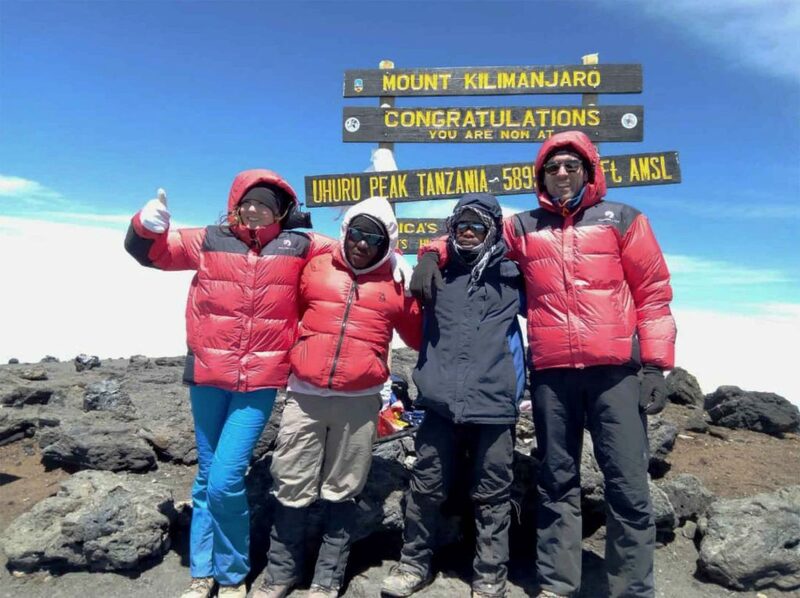 On summit day you will reach the arctic zone of Kilimanjaro. This means lots of snow and glaciers. The sun then reflects off the snow, which can cause snow blindness. Snow blindness is painful but temporary blindness that occurs when the human eye s overexposed to the suns UV rays. No fun at all! Keep a pair handy when packing for Kilimanjaro. Gloves to keep your hands warm! We especially like to suggest mittens. Mittens are the best for summit days as all your fingers together creates more warmth. Having said that though, mittens do make it quite challenging to take pictures. So if you would prefer fingered gloves, do make sure that you get a decent pair of summit gloves. The items above are relatively self explanatory but it is good to know what while you are on the mountain there will be no shower facilities. You will however get, what the locals call, ‘washy washy’ every day. This a bucket of water for you to wash your hands and face. You will need a small towel for this. 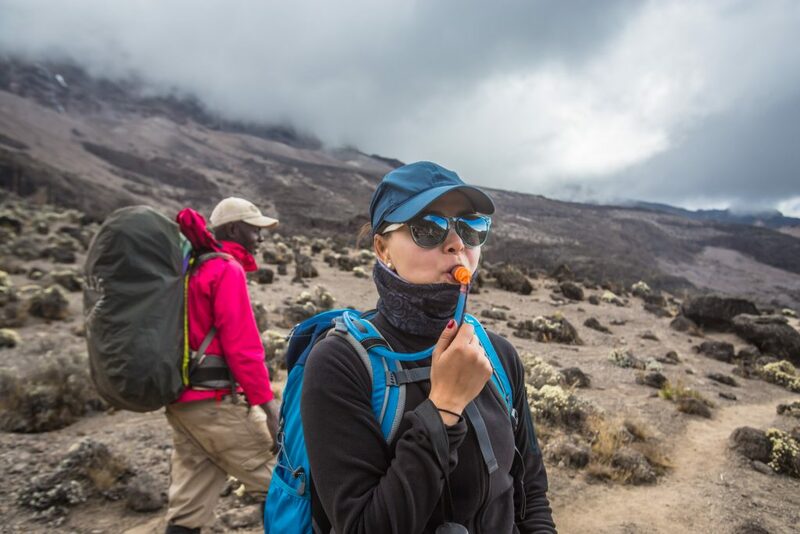 Personal items may vary from one person to the next so add what you feel is necessary to your Kilimanjaro packing list. On this journey, it is very common for one to experience varying symptoms of altitude sickness. This is nothing to panic about and can be managed. This is where your diarrhoea tables and pain killers may come in handy. The porters will carry everything but your daypack. Be sure not to overpack! 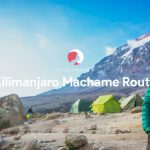 Although there is limited cellphone reception on Kilimanjaro, some service providers will have reception these campsites: Baranco, Karanga, Barafu, Mweka, Tarn hut, Horombo. 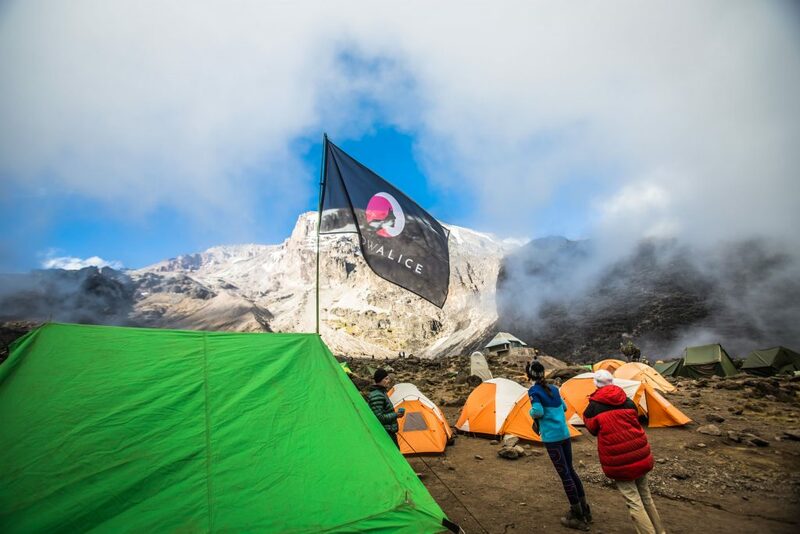 Have a look at the Kilimanjaro routes to see which routes stop off at these campsites. Regardless, it is great to have your cellphone and power-banks on your Kilimanjaro packing list for you to take some Instagram worthy pictures! Please don’t forget your passport! We can help with replacing pretty much anything if needed, but sadly we can’t replace your passport. 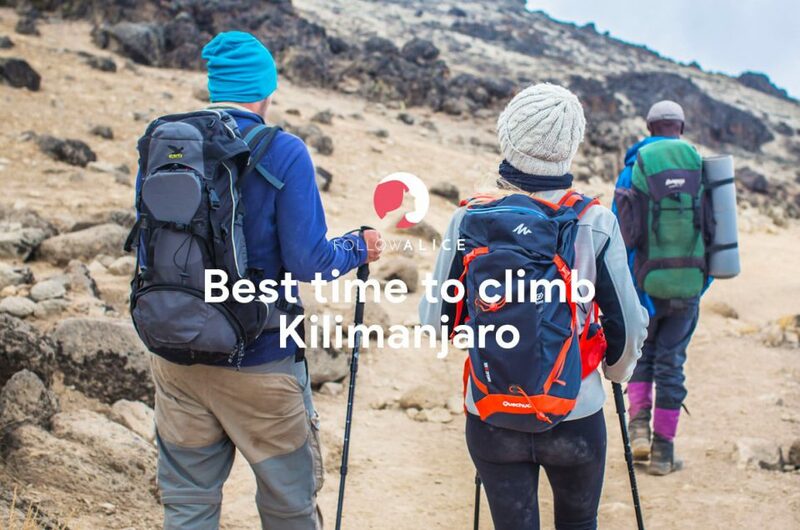 Make that number one on your Kilimanjaro packing list. Be sure to that you have a passport that is valid for at least 6 more months as well as a flight card which you will receive on the plane to Tanzania. Finally you need a Tanzanian visa. US, Canadian, British and most European citizens can simply obtain their visas upon arrival at the airport. The cost is $100 for US passport holders and $50 for others. If you are a citizen of a different country, please check with your embassy whether you can obtain a visa upon arrival. You can also view the Tanzania Visa Policy. In terms of vaccinations – There are no specific vaccine requirements needed to enter Tanzania. However, be aware that the government of Tanzania requires proof of yellow fever vaccination upon arrival if you are traveling from a country with risk of yellow fever. We suggest you talk to your doctor about getting the following vaccinations which are standard in developed countries: Hepatitis A & B, Typhoid, Yellow Fever, Tetanus, Polio, MMR (measles, mumps, rubella) and Meningococcal Meningitis (Africa/Asia). Please check the Fit For Travel website for more up to date information. 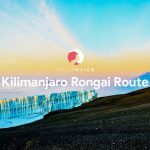 So although you can’t really add this to your Kilimanjaro packing list, it is good to keep it in mind throughout the preparation process. 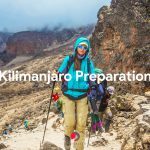 A couple suggestions for any other bits and bobs that you may want to add to your Kilimanjaro packing list. These are not essential, but can make your climb even more enjoyable. Packed and ready for a successful summit! 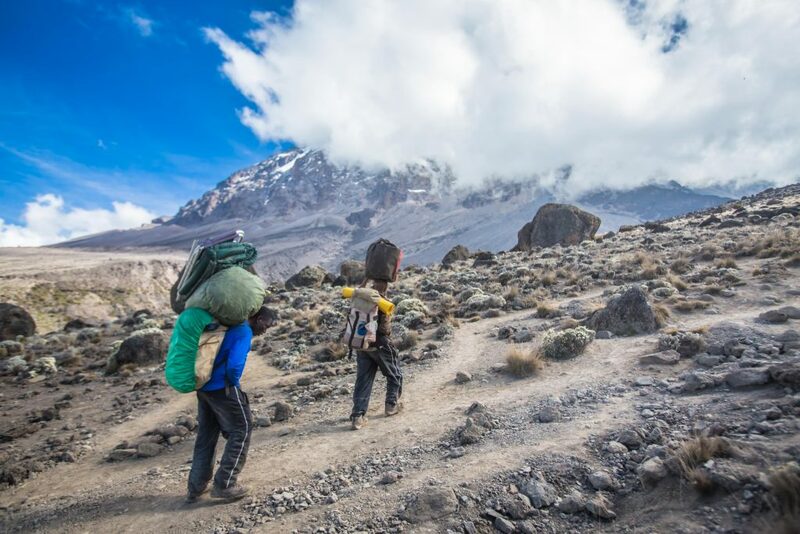 All this talk of packing for Kilimanjaro gotten you excited? Us too! 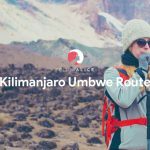 Up the excitement and have a look at this short documentary that the Follow Alice team put together to show what it is really like to climb Kilimanjaro.